ETI Software Solutions is proud to announce it now supports the VoIP and unified communications software-as-a-service (SaaS) solution from Alianza, the cloud voice platform company. 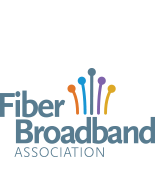 "The Federal Communications Commission (FCC) is funding rural broadband investments with its 2018 Connect America Fund (CAF) Phase II auction. And VoIP will play a role in making that happen."